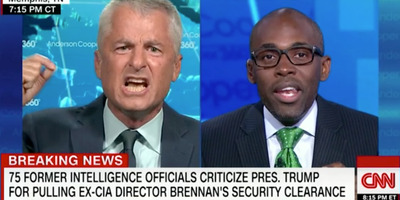 CNNFormer CIA analyst Philip Mudd, left, and Paris Dennard, a former White House official for President George W. Bush, debate on CNN, August 17, 2018. Former CIA analyst Philip Mudd got into a heated argument with Republican strategist Paris Dennard on Friday after Dennard suggested Mudd made “more money” from consulting firms because of his security clearance. “Twenty-five years in the service and this is the s–t I get? Get out,” Mudd said. 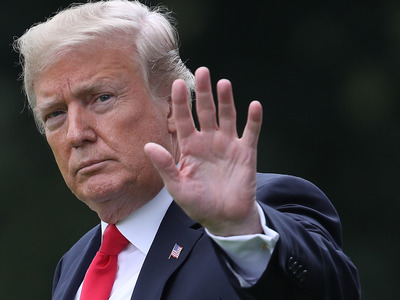 The debate comes amid President Donald Trump’s move to review and revoke the security clearances of former government officials who criticise him. The latest example came Wednesday, when the White House announced it had revoked former CIA director John Brennan’s security clearance. The action sparked outrage among a number of former senior US intelligence officials. Former officials “whose personal and professional history affirmatively indicates loyalty to the United States” are able to retain their security clearances even after their tours of duty. If called upon by the government, these individuals are able to provide insight based on their years of experience, but may need to view sensitive information in order to provide an effective analysis. But Mudd rejected the suggestion that he was living off the fat of the land because of his security clearance. Mudd holds positions at an asset-management group and a think-tank, as well as serving on the advisory board on the National Counterterrorism Center, according to his contributor profile. Mudd became livid and stood up after Dennard’s response. “Twenty-five years in the service and this is the s–t I get? Get out!,” Mudd said again. The debate comes amid President Donald Trump’s move to revoke the former CIA director John Brennan’s security clearance on Wednesday, which sparked outrage among a number of former senior US intelligence officials. Trump reportedly expressed interest in revoking more security clearances from current and former officials who he believes either criticised him or were involved in the Russia investigation. “Mr. Brennan’s lying and recent conduct, characterised by increasingly frenzied commentary, is wholly inconsistent with access to the nation’s most closely held secrets and facilitates the very aim of our adversaries, which is to sow division and chaos,” the White House said in a statement. Brennan rebuffed that characterization and lobbed fiery rebuttals on social media and in The New York Times. “Mr. Trump clearly has become more desperate to protect himself and those close to him, which is why he made the politically motivated decision to revoke my security clearance in an attempt to scare into silence others who might dare to challenge him,” Brennan wrote in a New York Times opinion column. But Dennard said he agreed with Trump’s decision, saying he believes Brennan was too hard on the Trump administration. Mudd countered Dennard by referencing former national security adviser Michael Flynn, who campaigned for Trump and called for the imprisoning former secretary of state and presidential candidate Hillary Clinton. Mudd noted that even after Flynn pleaded guilty to lying to the FBI about his conversations with a Russian ambassador, his security clearance was suspended and not revoked.